At Tindall, innovation is at the core of who we are and what we do. Our precast, prestressed concrete offers an array of benefits over other construction methods, such as cast-in-place or fireproofed steel. High-performance precast concrete provides three characteristics that make it unrivaled in the world of construction — versatility, efficiency, and resiliency. Combine those with over 50 years of Tindall know-how and you get groundbreaking solutions that save time, money, and headaches. .
There’s a reason so many builders and contractors are choosing Tindall precast concrete. It provides a faster erection schedule, environmental benefits, and lower total installed costs. Plus, Tindall uses recycled, regionally supplied, and low-emitting materials, making our precast the best choice for an environmentally friendly structure. 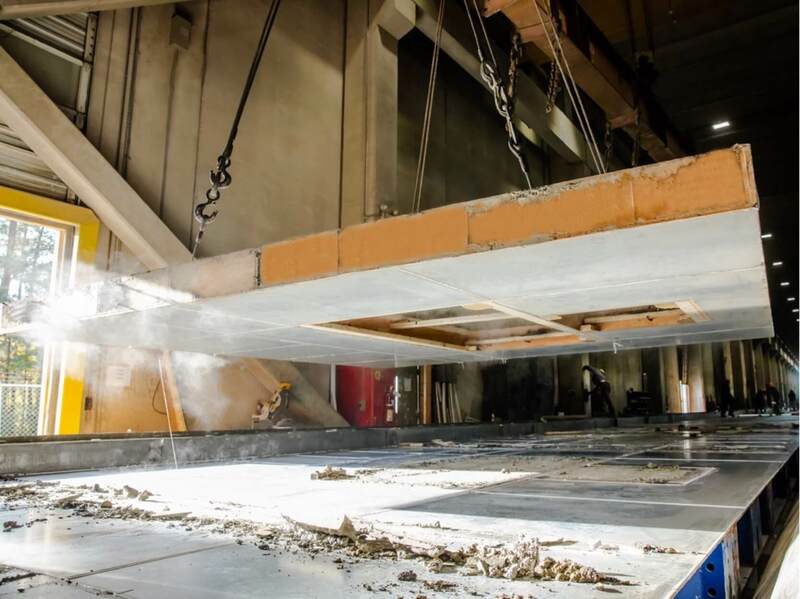 The structural soundness of precast concrete provides protection against numerous hazards, including fire, severe storms, high winds, flying debris, and even explosion. Extensive research has even led to the innovative design of structures that provide resiliency to earthquakes. On top of that, precast concrete does not provide a food source for mold, resulting in consistent quality air conditions. Precast concrete boasts an almost endless array of aesthetic options. Using formliners, aggregates, pigmentations, and various finishing techniques (including acid etching, smooth-as-cast, exposed aggregate, and abrasive blasting), Tindall’s designers can create the custom finishes, sizes, and configurations needed for any design. Even when faced with a tight budget, Tindall can mimic historical finishes like stone and brick facades. Think you know precast concrete? Think again. Precast concrete holds an immense number of advantages over more traditional construction methods. "I consider Tindall to be one of the strongest partners we have in our business. Tindall has always provided a high-quality product at a competitive price. Top that with first-class service from the entire staff, and that is why we choose Tindall for our precast needs." - Scott Cline, President & COO, Ruby-Collins, Inc. If you have a challenge, Tindall’s precast concrete has the solution.